You’ve been stuck in that awful job for as long as you can remember. You know you can get better but just don’t know how. Every job search attempt turns into a frustrated failure. Heck, you don’t even know what job to apply to. Every day without the right job is a loss of salary. How much is your inability to get a suitable job costing you? What price do you put on your time? How much is time wasted costing you monthly? Annually? Decide how much salary you should be getting on a monthly basis (based on your skills and expertise). Subtract your current salary from this amount. Then multiple by 12. That’s how much your inability to get the job you deserve is costing you per year. Do you want to miss out on all that potential income? 💥Have clarity about your career. 💥Correctly articulate your skills on job applications and interviews. 💥Proceed in job search with confidence. 💥Get the support you need for success. With Profile Optimization for Career Success you can get the personalized assistance and support you need to reach your career goals. 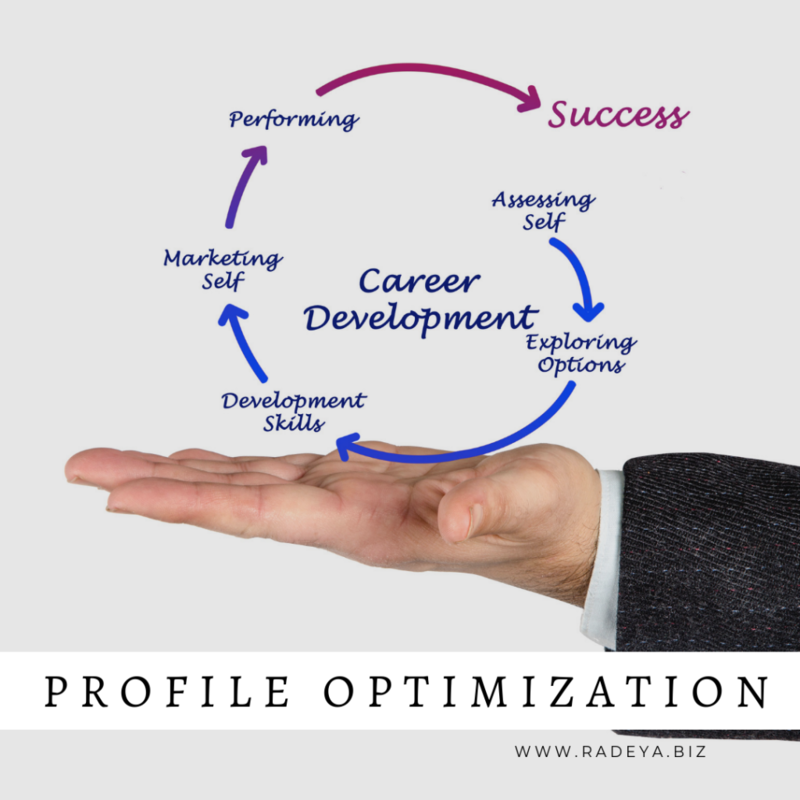 Profile optimization for Career Success gives you clarity about your career, helps you articulate your skills so you can be eligible for high paying jobs, and gives you unparalleled support so you can reach your goals. We help you identify the right career path for you based on your career history, skills, interests, and future goals as well as the market demand. You get advice on what options you have in your career, types of organizations you can apply to, and further training opportunities. A ready to use CV, custom made based on your optimized career profile, is provided so you can apply to jobs with no hindrance. Our personalized services and client support are unparalleled in the industry. We are happy to say that 100% of our clients have find jobs within 6 months of using our services. **Jobs and salary guarantees based on your career line and skill level.